In creating this Seattle tour for 2018, we set out to make the tour our guides want to go on with friends. We made a tour that keeps people outside, touches many of the highlights and hidden facets of Seattle that make it…well, Seattle, and we make sure that we eat and drink well all day! 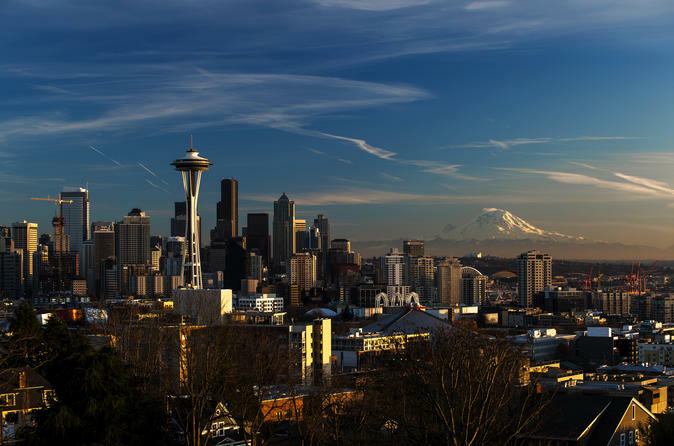 This small-group day trip limited to 10 people includes French-pressed coffee & tea, pastries, light snacks, local wine tasting and downtown Seattle hotel transport by luxury vehicle. Lunch is on our own--but only because we visit the famous Ballard Farmer's Market and travelers like to try many different cuisines and options! Get excited by going behind the scenes at an independent local coffee shop. After getting a bit of caffeine and culture it’s time to head outside. Discovery Park is one of our best-kept secrets: trails, a lighthouse, coast, forest, bluffs, blackberries—so many good things! After a stroll we’ll head to Ballard, the maritime neighborhood many consider the most-perfect of Seattle’s great neighborhoods. Visit one of Ballard’s many famous breweries for a pre-lunch tasting and then it’s on to the locally-renowned Ballard Sunday Farmer’s Market! Handmade goods, local and organic foods, quaint shops and restaurants all packed together in the pedestrian-only core of Ballard. Though lunch is on your own—we’re guessing you’ll thank us as your try a little bit of everything from quaint market vendors.